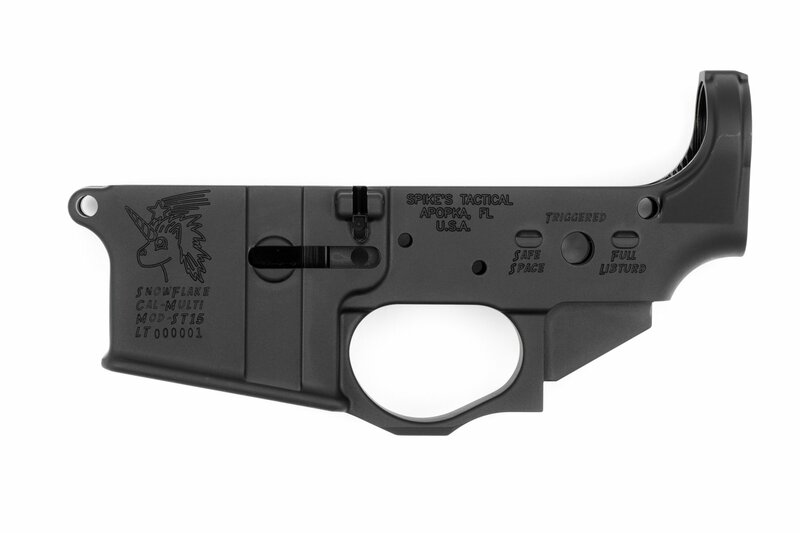 Spike’s Tactical Snowflake Lower makes fun of today’s ultra-PC attitudes, both in its name and the imagery on the lower. Of particular note is the selector switch marks, ‘Safe Space’, ‘Triggered’, and ‘Full Libturd’. Now, the lower is currently selling for $115 ($140 color filled), which is pretty pricey in a market where a perfectly functional lower can be had for regularly under $50, so its up to the buyer whether the unique marking is worth the premium price. This entry was posted on Saturday, September 30th, 2017 at 23:57	and is filed under Weapons. You can follow any responses to this entry through the RSS 2.0 feed. Both comments and pings are currently closed.